Baidu PC Faster 5.1 Free Download Latest Version For Windows OS (XP-7-8 and 10). Get the offline installer standalone setup file with a single, direct and secure link. The downloaded setup file is compatible with both Windows 32 and 64-bit versions. Baidu PC Faster is a powerful, optimization and security Software that can make your PC perform like new. It's the #1 deep cleaning technology that uses four cleaning modes and more than 250 cleaning checkpoints to make your PC run like new as it is the perfect cleaning solution available! Do you want your computer to work as fast as the first day? Do you despair of having to wait for any process to start? Baidu PC Faster is the tool you need. 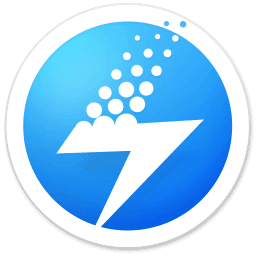 As its name indicates, Baidu PC Faster is a fantastic system optimization tool, which will make your computer work again as if it were new. You should know that with the daily use of the computer, it is becoming increasingly slow, due not only to the programs and applications that we install but also due to the temporary files that are stored in it, such as the history of navigation, cookies, installation files and a long etcetera. After downloading and installing Baidu PC Faster on your computer, the program will begin an analysis process with which it will identify those files that are considered unnecessary, to eliminate them completely. In addition, the program includes a series of functions that will help accelerate and optimize the performance of the equipment. Additionally, Baidu PC Faster includes a game acceleration solution, which will allow you to get the most out of your computer while enjoying your favorite games. Baidu PC Faster includes a large store of applications and games that you can download online and a tool that will allow you to convert your computer into a WiFi hotspot, to boost the signal of your wireless network, so you can navigate comfortably with other devices, as well as other computers, mobile phones or tablets. Scans for unwanted and duplicated files. Scans for Malware and viruses. It creates WiFi hotspots easily. Wi-Fi connection point: which allows you to connect the Internet to various devices of as smartphones, tablets and others. - App Store: Helps you download your favorite apps and games quickly and securely. - Games Accelerator: Runs games smoothly and quickly by optimizing processor resources. 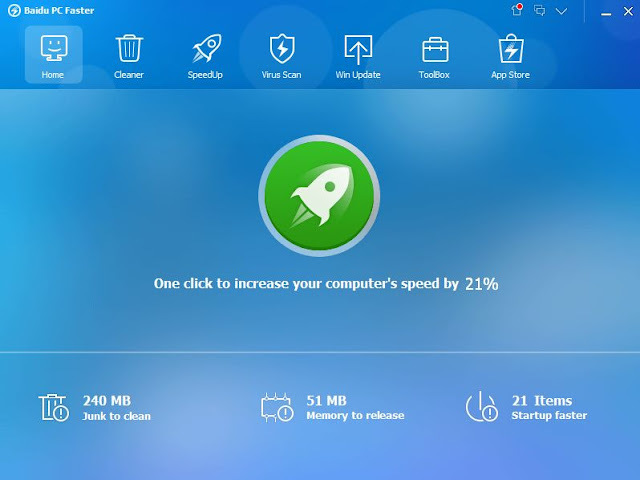 - Instant acceleration: The program provides a large space on the hard drive by eliminating duplicate files and obsolete files, which increases the speed of the computer dramatically. Software Name: Baidu PC Faster Free Download. Click on the button below in order to download Baidu PC Faster for PC. It's a complete offline installer and standalone setup for Baidu PC Faster. This file would be compatible with both 32 and 64-bit windows.